European Bioplastics publishes its latest position paper on shopping bags, ahead of the forthcoming European Commission proposal on single use plastic bags announced by Commissioner Janez Potočnik.The association recognizes that an overall reduction in the consumption of plastic shopping bags will play an important role in increasing resource efficiency and moving Europe towards a more sustainable economy. In countries where organic waste is recovered and organically recycled, compostable shopping bags compliant to EN 13432 containing at least 50% bio-based content should be exempted from the ban or tax. “Bioplastic bags will become a symbol of a resource efficient and circular economy,” says François de Bie, Chairman of European Bioplastics.Plastic shopping bags with a high bio-based content ensure a considerably lower carbon footprint than oil-based bags and help to reduce CO2 emissions. 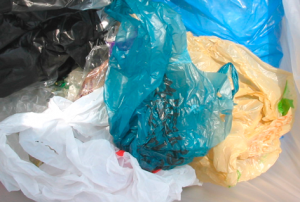 Compostable plastic shopping bags offer a secondary use as bio-waste bags. They help to increase the amount of bio-waste collected and improve the quality of compost in countries where organic waste collection is in place.